The police have arrested a cleaner working at the Mira Hong Kong hotel, after a woman was killed by a falling window on Monday morning. The female cleaner was arrested under section 4B of the Summary Offences Ordinance upon suspicion of allowing an object to fall from a building to the danger or injury of any person in or near a public place. 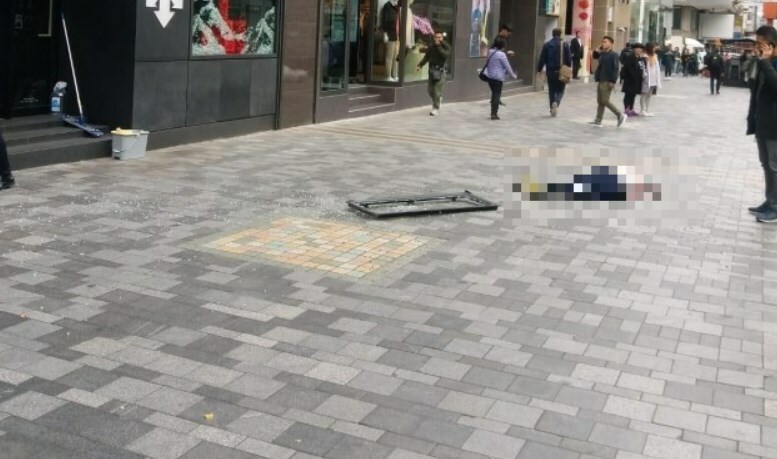 Chan Ka-ying, an officer of District Crime Squad 1 (Yau Tsim), said the window had fallen at around 10.30am after the cleaner had opened it in an attempt to clean it. It fell from the 16th floor of the hotel in Tsim Sha Tsui. The window was 144 cm in length and 30 cm in width. 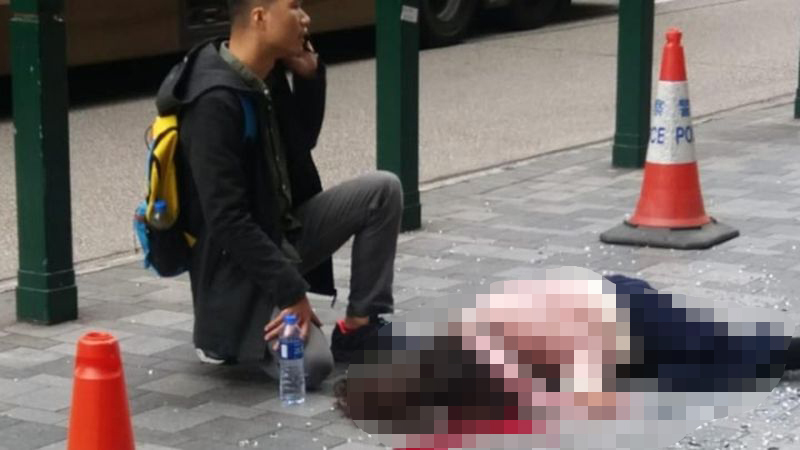 It hit two pedestrians, who the police said were mainland tourists visiting Hong Kong together. They were not staying at the hotel and had only been passing through the area. Chan said the police believed the window had hit the female tourist’s head. After the incident, they were rushed to the Queen Elizabeth Hospital for treatment, but the female tourist died. The male tourist suffered light injuries and has since been discharged. Chan said the police have yet to be able to confirm whether the window was broken before it fell. The police have taken the window and relevant items away as evidence. She said the police would look into whether it was a normal procedure. 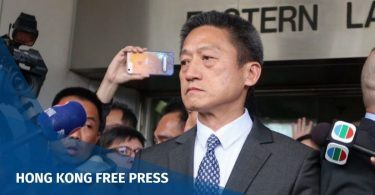 Chan urged witnesses to come forward. Chan said the Buildings Department would issue an inspection order to the hotel as soon as possible. 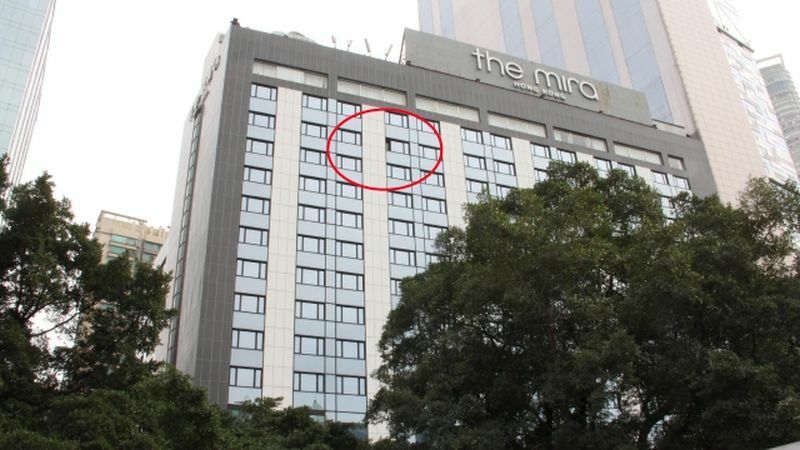 Suspected location where the window fell from the Mira Hong Kong hotel. Photo: Apple Daily. Miramar Group Hong Kong, which runs the hotel, said in a statement that it was saddened by the incident and offered its deepest condolences to the family of the victim. It said the hotel was actively cooperating with the police in the investigation and would provide any kind of assistance if necessary.